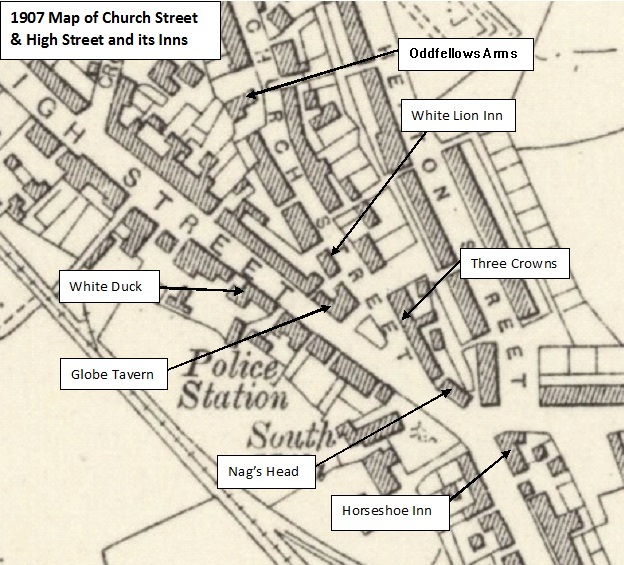 The White Lion was a beer house that was open in the second half of the 19th century located on Church Street in the last block of buildings before the Globe Tavern. 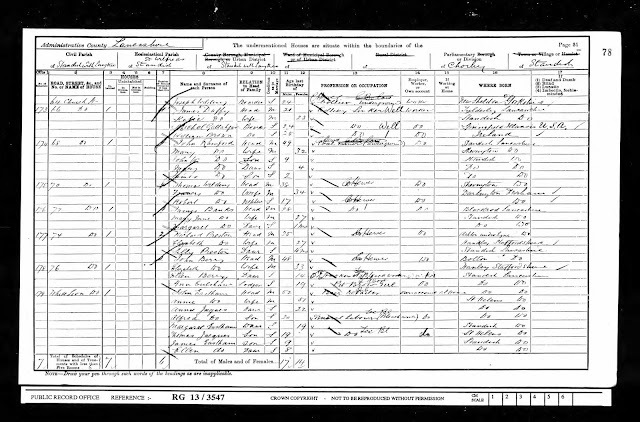 Whilst the buildings lasted until well into the 20th century there is no trace of a beer house at this location after the 1901 census. 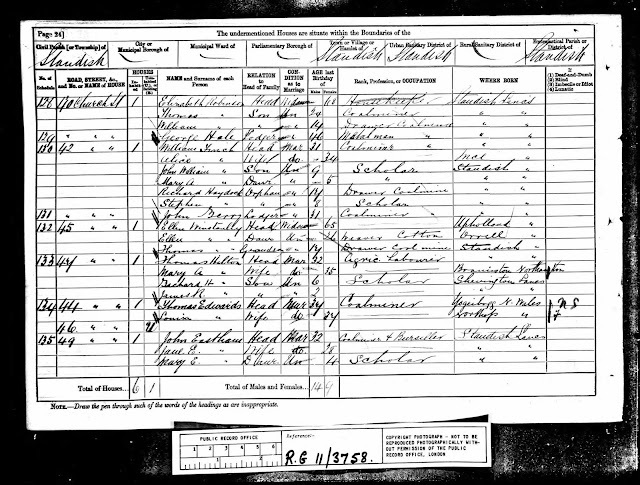 Listed landlords of the Inn were Thomas Lund (1867), John Critchley (1869), John Ellison (1871-73) and John Eastham (1881-1904). 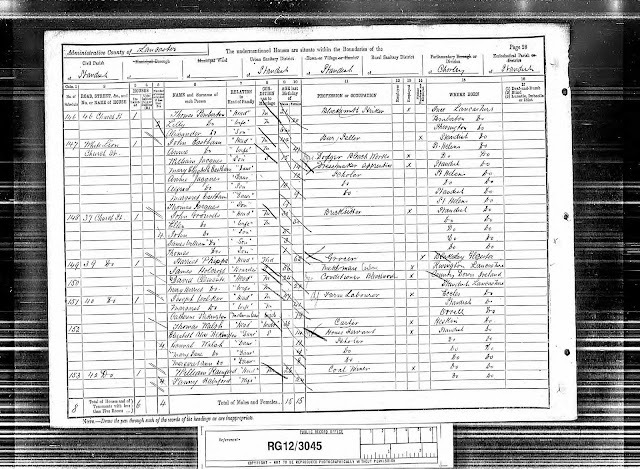 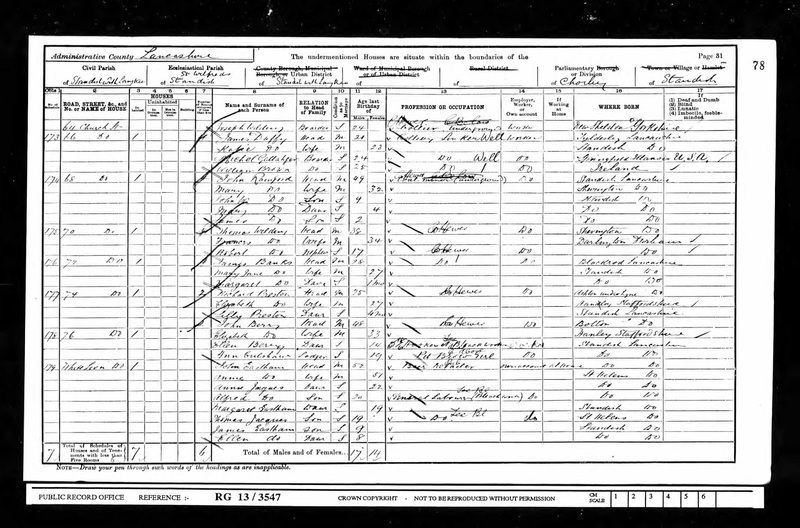 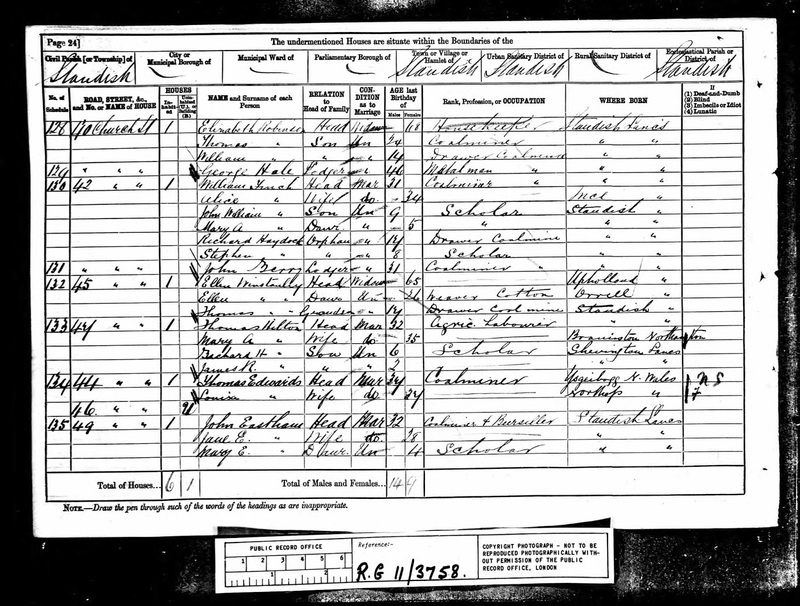 Both Ellison and Eastham worked as colliers as well as beer sellers and at the time of the 1911 census the whole row was inhabited by colliers. 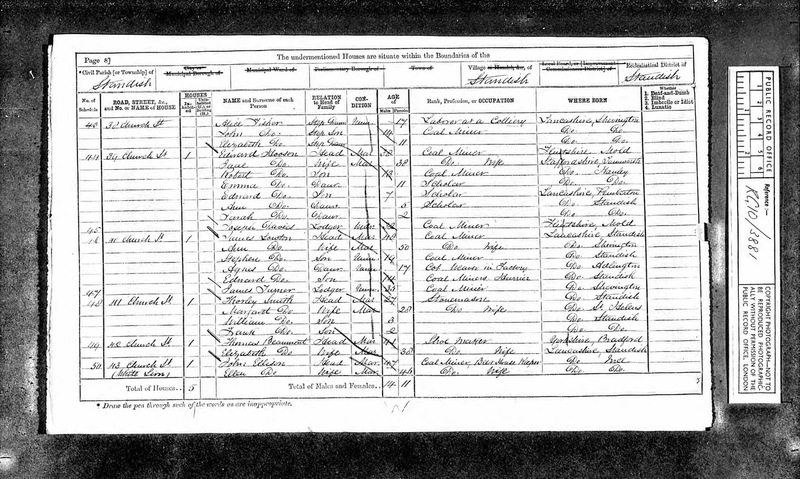 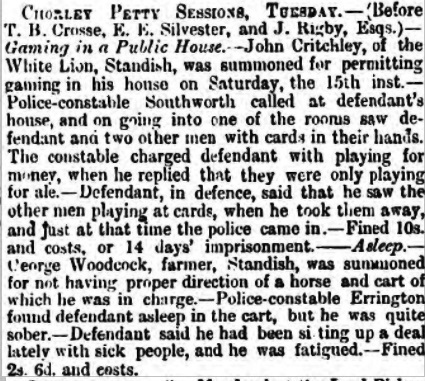 Marriage: 9 Feb 1873 St Wilfrid, Standish, Lancs. 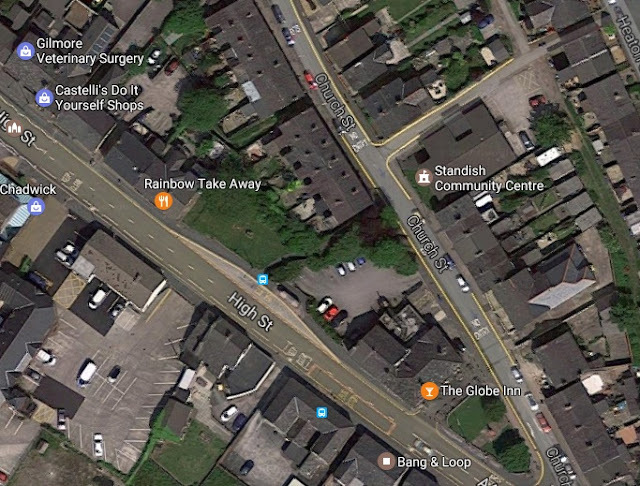 The Google satellite view below confirms the buildings where the White Lion once traded have been demolished and replaced by the Globe's car park and shrubbery.